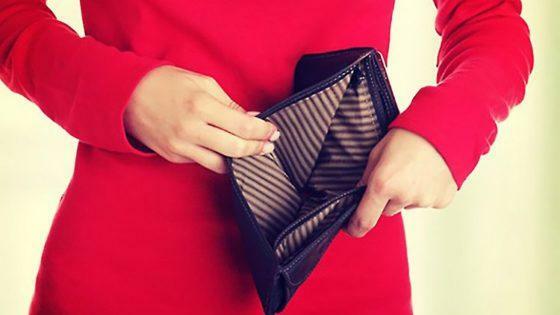 Peter Schiff: There's A Big Problem With The Economy, "Americans Are Broke"
Retail sales “unexpectedly” fell again in February even though most media outlets are touting a booming economy that can support raising the interest rates. It was the third straight monthly drop and the first time the US economy has seen three straight months of declining retail sales since 2012. Sales fell 0.1% in February even though analysts had expected an uptick of 0.3%. According to CNBC, households cut back on purchases of motor vehicles and other big-ticket items, pointing to a slowdown in economic growth in the first quarter. But Peter Schiff won’t sugarcoat this one for us: Americans are broke. And the worse things get, the less investors seem to notice. What makes matters even worse is two Fridays ago, we got the “too good to be true” and “just what the doctor ordered” Goldilocks jobs report that said 1 million people got jobs. Schiff said this “good news” report doesn’t make any sense, actually. Unfortunately, we also saw Americans running up record high levels of debt at the same time that the government is running massive deficits. Last month, the New York Fed released the latest data on US household debt, revealing it has grown to a record $13 trillion. So yes, Americans have been spending, but they’ve been putting a lot of it on plastic. Credit card balances grew by $24 billion in the last quarter of 2017 alone. Could it be that Americans have maxed out the plastic? At some point, a house of credit cards will collapse. Schiff is hard on Donald Trump too, and rightfully so. Lower taxes are always a good thing, the lower the better, in fact. But Republicans refused to cut any government spending while instead, increasing it to the point of running massive deficits, making them worse than Democrats when it comes to being fiscally conservative. The cold truth is that a backup plan is needed, and most Americans don’t have that. Many would be in some serious trouble during a financial downturn, and the country is most definitely headed that way.